I've lived almost my entire life in Maryland, just 40 minutes or so from the city of Baltimore. Baltimore has found itself in the headlines this week as peaceful protests were overshadowed by violent rioting on Monday night. As I watched the news coverage on TV and followed along with social media posts of friends and family who live or work downtown, my heart broke for the city that has played such an important role in my life. Like so many others, I found myself wanting to hold tighter to my family and protect my children from the violence and dangers of society that were occurring so close. 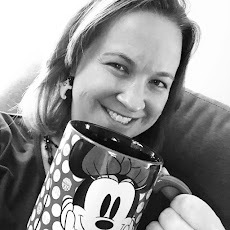 While keeping up-to-date on the latest happenings over Twitter and Facebook, I kept scrolling by Disney-related posts from many of my social media friends. I thought to myself, "If only life could be more like a Disney movie." But then I realized, it already was. Nothing is perfect in a Disney movie. In fact, tragedy and hard times are often at the center of the story. In The Lion King, Simba witnessed the death of his father and then was told it was his fault at a young age. In Frozen, Elsa sees something that she is born with tearing about her relationship with her sister and ultimately endangering the kingdom she cares so much about. In Aladdin, we see a boy living on the streets without enough money to buy food for himself or afford a place to live. And the list goes on. The true power of a Disney movie isn't that everything is perfect, but that despite the difficult times life throws at them, the characters find a way to overcome and move forward.